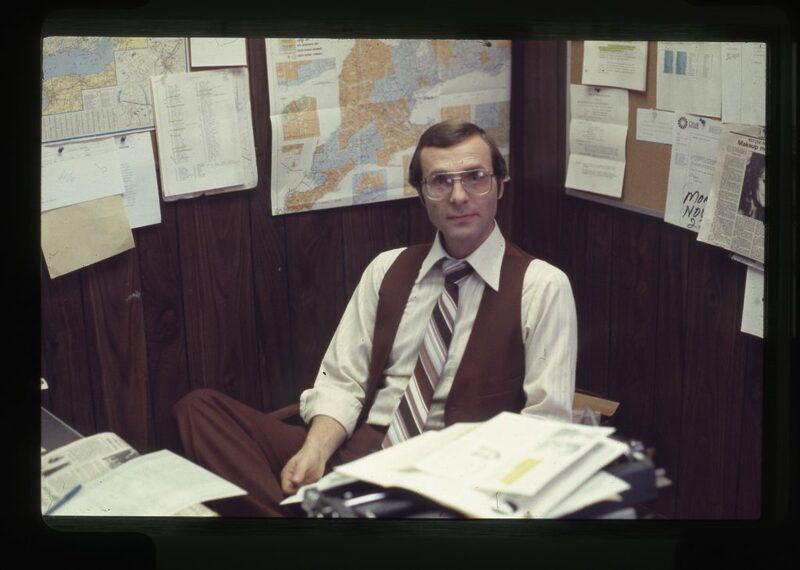 Bob McIntyre in his office while working as News Director at CKVR. Home/Bob McIntyre in his office while working as News Director at CKVR. Tags: Bob McIntyre, CKVR, CKVR Staff, News.